Adopting a pet is a substantial commitment and a big change in day to day life. There are numerous new considerations such as time for walks and exercise, choosing the appropriate brand of food, travel arrangements, and unforeseen medical expenses. Of course, the love and loyalty shown by many pets makes the extra work seem like an exceptionally small thing. Pets eventually become part of the family. And with all the time and love put into raising them, it is important to consider and prepare for the possibility that one day they may get lost. The easiest solution to this potential problem is to purchase either a collar with tags or have a microchip inserted into your pet. Because prices are reasonable and it is relatively easy, many pet owners are now choosing to do both. For those considering microchipping, big data will enter you and your pet’s lives in a big way. In essence, big data is just the collection and computation of large amounts of information to discover patterns, trends, and associations. Computers and high-speed processing have really allowed it to take off over the past few decades. It is estimated that humans generate over 2.5 quintillion bytes of data per day; big data is becoming a big deal! Microchips in pets came on the scene relatively recently. They are small chips (about the size of a grain of rice) inserted into your pet. This is where the big data aspect comes in – these chips contain the same information that would be found on their collar. Animal shelters or veterinarians can scan the chip, much like a barcode, and obtain the information necessary to return the lost pet to its worried owners. There is a lot of good information on pet microchips out there, but there are a few quick things to know about them. First, microchips don’t have to be replaced; they are designed to last the duration of your pet’s life. Second, pets must be registered online through the chipping company for information to be available. It does no good to have your pet microchipped and then have no information tied to the chip when scanned later. How Can Big Data Impact Your Pet? Microchipping information is commonly just the same as what would go on a collar: pet name, owner name, address, and/or phone number. Of course, basic pet information is only the beginning of what pet microchipping could be used for. Really the possibilities are endless and likely to continue to be developed over the next few years. Perhaps one of the most interesting and exciting directions that pet microchipping can take is similar to a direction it has already taken in humans. The consolidation of healthcare information using big data is a huge frontier of development right now and it is likely to leach over into pet health. This would essentially mean loading all of a pet’s veterinary documents into a single rice grain-sized microchip that they always carried with them. If for some reason your pet was lost, the animal shelter could scan your dog and learn that it is allergic to certain types of foods right away. Or if there was an emergency medical situation with your cat, vets could just scan a microchip rather than searching for pet records to get necessary information. Everything from allergies to medically relevant information, to alternative human contacts could be stored in the chip. Big data is likely to become a significant part of the bigger picture of the health and wellness of our furry friends. It may never completely replace collars and other physical information worn by a pet, but it can certainly go right along side it. Likewise, big data and pet microchipping will likely go hand in hand with other things, such as pet health insurance and pet wellness plans. Things like these tend to cover routine medical checkups and procedures such as vaccinations. In general, most non-emergency vet visits and screenings are often covered by wellness plans, while insurance works to cover more serious visits. 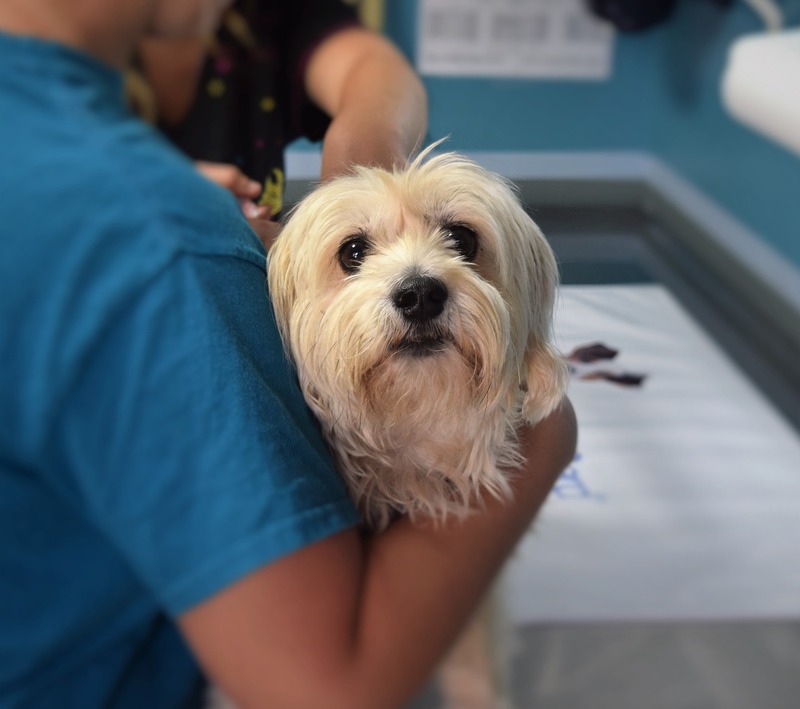 With big data, pet health coverage can also be uploaded into a microchip that can be scanned when your pet visits the vet, regardless of whether or not it is your regular vet. This can help increase speed and efficiencies related to vet visits. In addition to helping organize pet health information, big data can also play a role in actually choosing the right pet health insurance plan in the first place! Over the next few years, big data will continue to play an increasingly pivotal role both in our lives and in the lives of our pets. The amount of data created by humans daily is expected to continue to climb. In our pet’s lives, big data can be a real contributor to health and safety by easily providing accessible pet information, healthcare history, and insurance information. As of now, it looks like a winning situation!